For one comfortable monthly fee, you can keep your computer systems running trouble free. Beginning with an Annual Management Review, we will develop a plan that will meet your specific goals for Information Technology, and then on a schedule that works for you, we will implement your plan. At no additional cost to you, we install a monitoring server that will watch your servers, pc and other devices 24 hours a day, 7 days a week. The status of each device is reported to our central server where it is evaluated to determine potential situations that may be developing. When a potential failure situation is detected, an alert is issued to our technical staff. A technician will proactively address the situation as needed. By detecting failures before they occur, we can schedule repairs and equipment replacement before the end user is aware a problem is developing. This reduces your business disruption that occurs when you wait for the failure and then address the problem. Security patches are tested and rolled out on a scheduled basis to help keep you systems secure. Through a tiered rollout, you are not on the Bleeding Edge when installing patches; there is less likelihood of problems resulting from patching systems. In addition to security patches, we also test and deploy proactive application patches to systems to fix other potential problems before you experience them. While companies such as Microsoft will push out security and other urgent patches, they don’t automatically install reliability patches. We review these patches and include those that your systems will benefit from. Backups are a necessary part of the computing environment. While many end users will acknowledge the need for backups, most small and mid-sized companies will setup the backup job and expect it to keep working. Unfortunately many things can change over time that will affect a backup job. It is essential that the job be monitored to insure that each job actually runs properly. A backup job that isn’t completing normally is no backup job at all. 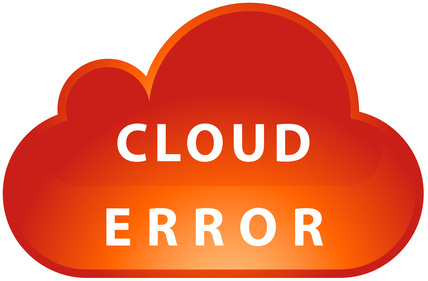 If you fail to monitor the backup, you may discover that you don’t have a backup only after you have lost your data. Backups need to be periodically tested to insure that the data they are protecting can actually be restored from the backup. Our 24x7 monitors watch each backup job and alert a tech if it fails to run properly. Periodically, data is restored from a backup to be sure that the backup is really working. 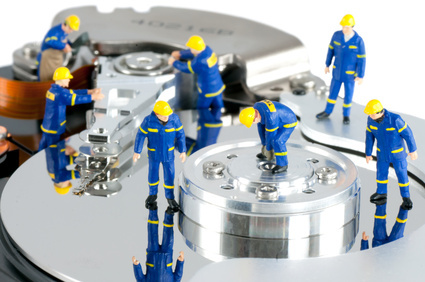 Under managed services, we will backup data locally, and keep a copy at a remote location. The local copy provides protection from physical and logical failure of your systems, and the remote copy provides a second backup just in case the first was bad, and it provides recovery in the event of a physical disaster at your location. Because we automate much of the tedious work, you gain from a lower manpower requirement through lower cost and you gain with less human error from dealing with tedious tasks. You gain from a much higher qualified technical staff, because the typical work for entry level persons is automated. If you have less than 10 servers and less than 200 PCs, you don’t need a full time technical person; through Managed Services, you gain the benefit of a high level, certified professional when you need it, and you don’t pay for this resource when you don’t need it.